Let’s begin by saying that we know that Rails is a framework for Ruby, and that PHP is a language that works with many different frameworks. Let’s also begin by saying that the comparisons we’re going to making here are more concerned with Ruby + Rails vs. PHP + (framework of your choice) rather than quibbling over apples and oranges and all that. We’re all professionals here. Let’s not lose the forest for the trees, alright? That said, we will be focusing on working with Ruby on Rails, and the advantages it has over PHP on any platform. We love Ruby on Rails here and we’re not about to change our minds on that fact until something better comes along. However, we do feel an honest comparison of the two may help to convince you of the wisdom of our choice. Ruby runs on Rails. Rails is a stable and mature framework. Ruby is designed for it. PHP, on the other hand, runs on so many varied frameworks that there’s always the chance of choosing one that’s not right for the project you have in mind. The big problem with this is you often don’t know you’ve chosen an inadequate framework until you are well into your app development. That means a lot of work has to be redone. Ruby on Rails eliminates the guesswork and worry. PHP has problems. It can get sloppy. It can get verbose. It can get tedious and less-than-fun to work with. It can also take forever to produce. Compare that with Ruby. Ruby is a powerful language. Some have complained that Ruby is too hard to learn, but once you learn it, it becomes apparent that you can do more, and do it faster, with Ruby than you can with PHP. While it may take a bit to learn Ruby (which we have done), you’re in with style once you do master it. Rails has so many automated features that you pretty much focus on what you need to do, the problem to solve, instead of worrying about a bunch of menial tasks. Rails gives you scaffolding, and while a few PHP frameworks do, there’s still too many that do not. We’d rather work with Rails and have all that lovely scaffolding to build on and around than start from the ground up. Ruby Gems also make Ruby on Rails a dream to develop with. These plugins are whole blocks of code that you simply upload and install. They go to work so you don’t have to. ActiveRecord lets you know where you are, what’s been done, and is very straightforward to use. Unlike the many ORMs available for PHP, ActiveRecord actually works, the way it’s supposed to. Lastly, Rails has an integrated testing framework that you can use to make sure everything is doing what it should, as you need it to. 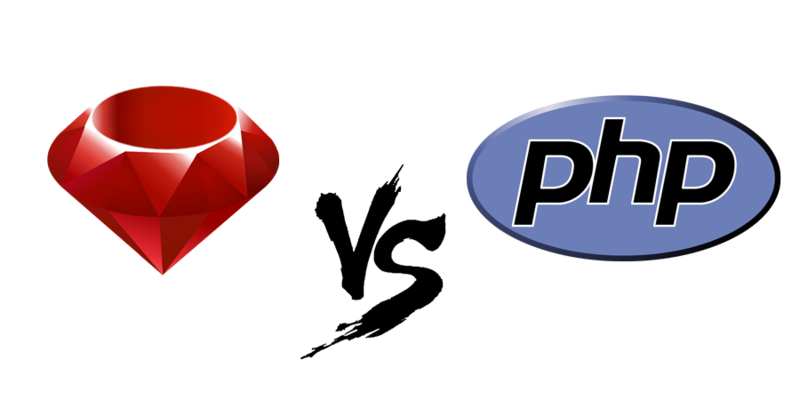 We hope this little dissertation on Ruby on Rails vs. PHP has proven effective in convincing you that your Gennovacap project built on Ruby on Rails instead of PHP is going to be a better, superior product. We’re building it, after all, and we’re using Ruby on Rails to do it. We’re pretty certain you’ll be just as impressed with Ruby on Rails as we are. Which ecommerce platform is right for my business? Gennovacap is a web development and mobile app development agency that provides professional software services for clients of all sizes. We focus on Website Design, Web Development and Mobile App Development. Copyright 2014 © Gennovacap Technology. All rights reserved.